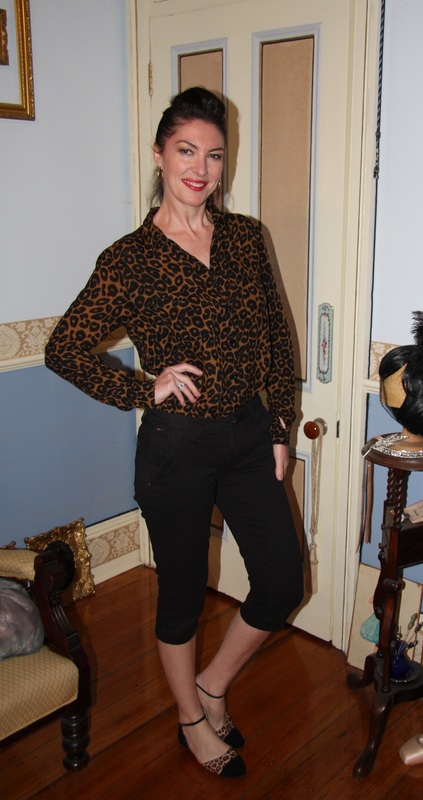 Outfit: Leopard print long sleeve blouse worn with black capri pants. 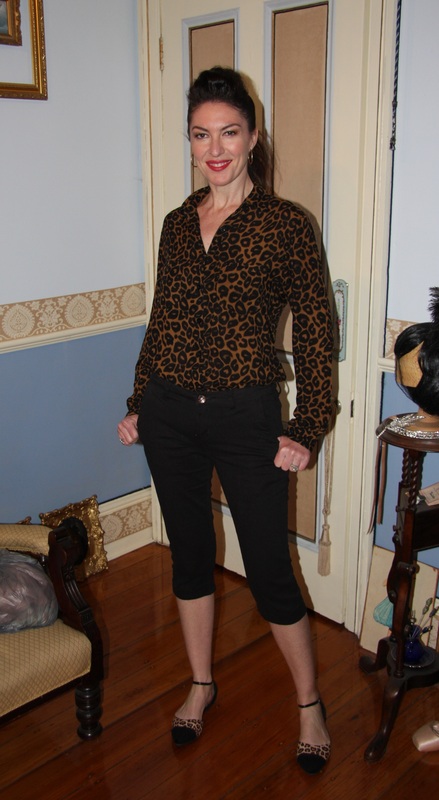 Shoes: Black flats with leopard print toes and ankle straps. Hair: Worn in a high ponytail with height to crown and a black satin ribbon.